There is a clear trend globally towards using technology to both improve the client experience as well as improving efficiency in the wealth management space, says Vidhu Shekhar. The rising equity market and lack of other investment avenues for making money has seen a huge trend of high net worth individuals (HNIs) moving away from physical assets to financials assets, says Vidhu Shekhar, Country Head (India) at CFA Institute who sees going ahead use of technology will reshape the wealth management industry which would improve the client experience as well as efficiency in the sector that houses 2,00,000 investors that controls $800 billion (Rs 51 lakh crore) of wealth in an industry which is witnessing compressing margins. 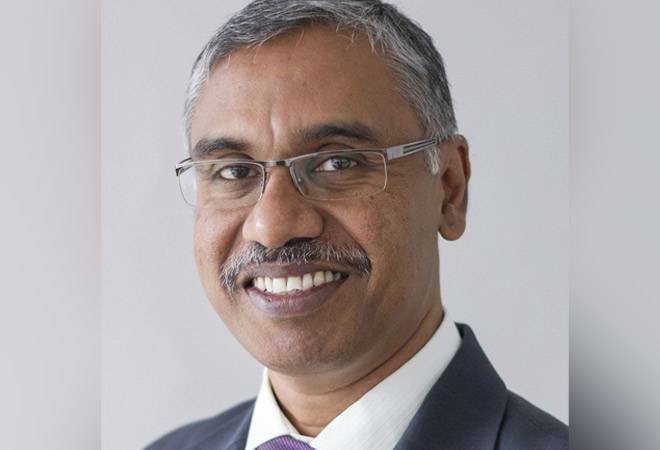 Speaking to Business Today's Mahesh Nayak, he talks about the changing investment goals of Indian HNIs which are looking to the wealth management industry to provide one-stop, holistic and uncomplicated family wealth advice. BT: What has been the key changes observed in the wealth management space? Vidhu Shekhar: There is a clear trend globally towards using technology to both improve the client experience (such as easing transactions, providing additional service, and facilitating communication) as well as improving efficiency. BT: Has the fee and margins improved in the past few years? What are the fees in different region on the world? Vidhu Shekhar: Margins are compressing globally. In general, fees are lowest in the U.S. Tracker funds in the U.K. once charged over 100 basis points. That is rapidly changing, however, as low-cost passive investing becomes more popular and accessing low-cost financial products, such as ETFs, becomes easier. In comparison, expense ratios for funds are still high in India, with passive funds charging 100 basis points and active funds in the range of 200. No clear statistics are available for fees that advisors can charge in India. While fees are becoming more common, in general, advisors find it very hard to charge fees. BT: What are the trends one is observing in India in the wealth management space and how different is it when compared to US, Europe, China, Asia and Japan? Vidhu Shekhar: Wealth management in India is a bit different. Investors in India tend to store wealth in real estate and jewellery more so than in other markets and hold lower proportions of equity. The delivery of advisory services is often through private banks and brokerages, as well. Although brokerage is common in the U.S., independent registered investment advisors (RIAs) are also very common. It is a highly-fragmented industry and many investment advisors are switching to that business model in part because they feel it is less conflicted. BT: When fees in India are low, why is everyone trying to come into India and set up wealth management services in India? Vidhu Shekhar: According to the Capgemini World Wealth report, India is home to 200,000 high net worth investors who control about $US800 billion of wealth. The mass affluent market is much larger in terms of individuals. And as the population ages, there is great opportunity to help investors navigate their financial lives, such as retirement planning. However, it is not true that everyone is trying to come into India and set up wealth management services. We think that the industry growth will come from domestic players. BT: Why have domestic wealth management firm in India having success as against global wealth management? Vidhu Shekhar: While the global firms bring their global systems, processes and expertise, they often find it difficult to adapt to the different landscape in India. The few successful firms are those that have learnt to combine local knowledge with global expertise and are willing to stay in the game for the long term without expecting immediate results. Also, not all domestic firms succeed, and short term success need not translate into long term success and survival. BT: What are family office in India wanting from the wealth management advisory? Vidhu Shekhar: HNWI investors in India are twice as likely to seek family wealth advice versus personal financial advice. 60 per cent also measure financial success in terms of fulfilling their financial life goals as opposed to investment performance relative to a benchmark. They are also twice as likely to use a single wealth management firm rather than multiple firms. So, family offices are looking to the wealth management industry to provide one-stop, holistic and uncomplicated family wealth advice. BT: Is succession planning an important aspect for family office than real estate planning? Vidhu Shekhar: Succession planning is extremely important. 15 of the top 20 investment groups in India are family owned. Although that has been the case for some time, only five of those 15 where in the top 20 in 1951. The rest have fallen by the wayside. So, it's important to ensure that the business survives as a going concern through the generations. Without thoughtful planning and preparation, emotions and family dynamics create a cycle of poor business decisions and lack of confidence about key stakeholders that damage the ability of the firm to operate and makes future decision-making even more difficult. BT: Which are the asset class family office looking to invest in India? Has fall in real estate prices in India seen them investing in risky asset like equities? Is gold in favour and why? Vidhu Shekhar: Indian investors have traditionally favoured real estate and jewellery as stores of wealth, holding their assets in relatively equal proportion among cash, bonds, equity, real estate, and commodities especially gold and jewellery. Recently, however, Indian investors are gravitating from hard assets toward financial assets in large part because of the relatively strong performance of the equity markets.